"iTunes could not restore the iPhone because the backup was corrupt or not compatible with the iPhone that is being restored." Have you ever met the problem that when you try to sync iPhone with iTunes or restore the data from iTunes backup, iTunes popped up the error messages said that your iPhone backup is corrupted? This means that the manifest files are partyly corrupted or even missing. As we known, Apple does not provide the direct path for Apple users to access and preview iTunes backup. Then you may ask what about my data in the iTunes backup? 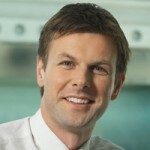 Will I lost my iTunnes data forever? How can I recover and save the data from corrupt iTunes backup? Don't worry. If you want to extract data from iTunes corrupt backup, you just need an iTunes Backup extractor and iRefone is such the recovery software to help you save your corrupt backup. 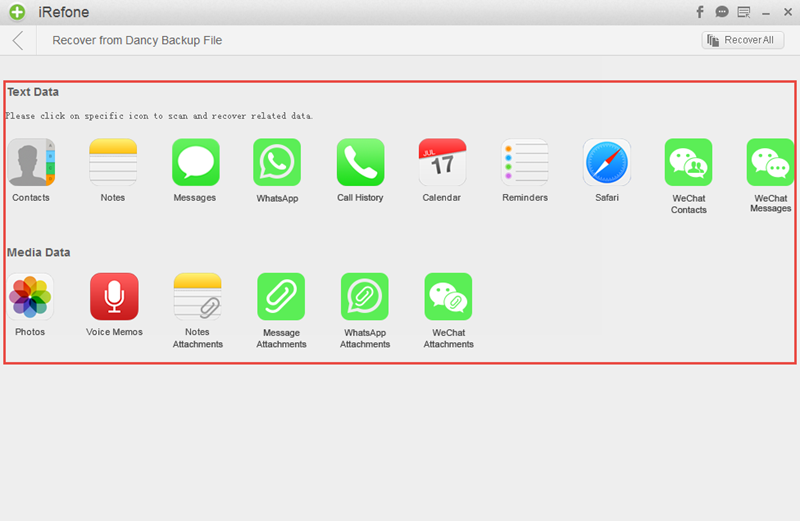 iRefone is a free-to-try desktop application that offers your the sulution for recovering lost data directly from iPhone, iPad and iPod Touch and extract data from iTunes and iCloud backup. Whatever and Whenever lost data, you could turn to iRefone for help to rescue lost data. 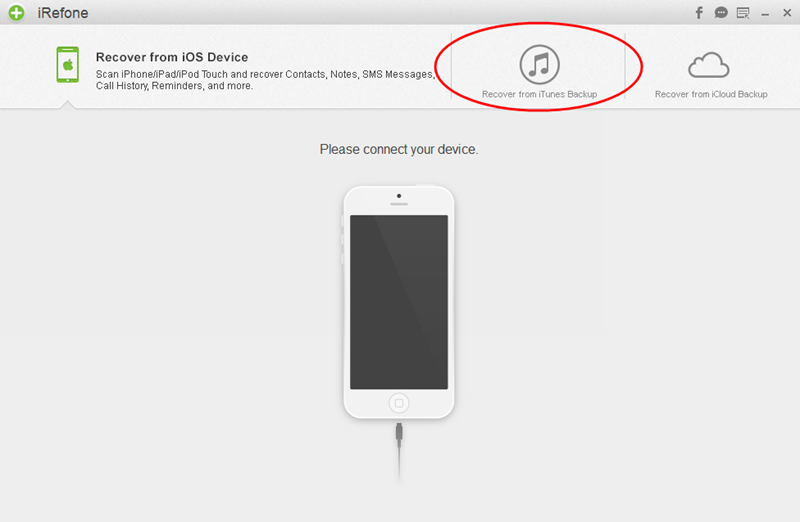 Below we will show you steps to extract data from iTunes corrupt backup with iRefone. First, you need to download and install iRefone. The software has both windows version and Mac version for you to choose. After installing the software, launch it and you will enter into the interface to ask you connect your iPhone. 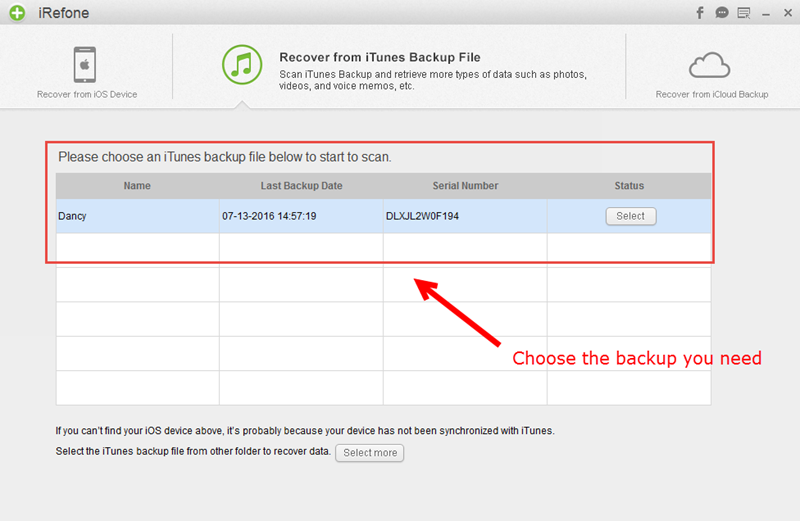 As we need to recover the data in iTunes backup, choose the second recovery mode "Recover from iTunes Backup". Then it will ask you to choose the iTunes backup you want to scan. Click "Select" or double click the iTunes backup you need. If you want to scan the backup in other folder, just choose "Select more". Choose the data you want to preview in the corrupt itunes backup, click the data icon and the software will automatically scan and analysis your file. If you do not want to preview the data and just hope to recover them, you could click the "Recover All" button on top right corner. After preview the data in corrupted backup, you could select the data you need and then choose recover them to your PC or device according to yourself. 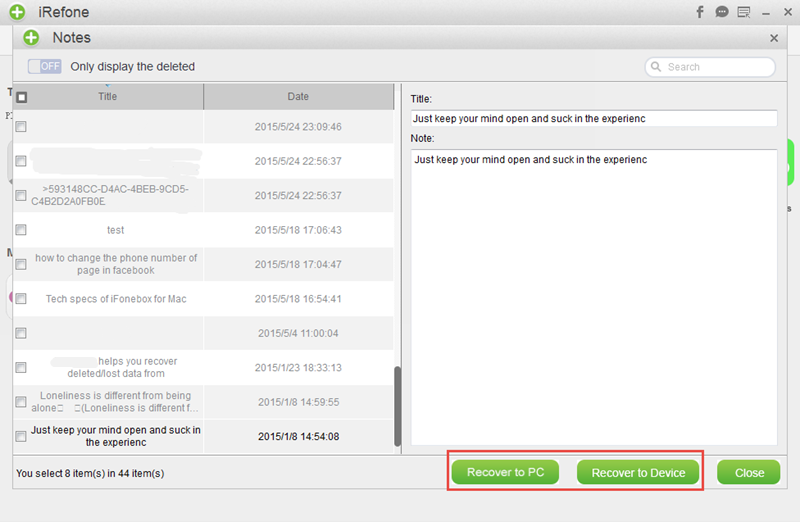 Note: iRefone supports to recover messages, notes and contacts directly back to your device now. Other data only can be recovered to PC. They are coming soon. Tips: Ways to avoid iTunes corrupting backup. 1) Always make a copy of the iTunes backup before an iOS updata. 2) Store the safty copy on another location on your computer, other that the default iTunes folder.